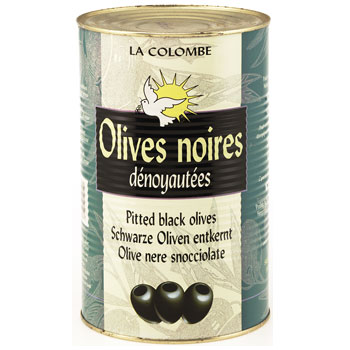 Black pitted olives in tin 5/1. Natural pitted olives, Salt, Acidifier: Lactic Acid. >> About 860 olives /tin.